What is the Top Golf Travel Destination in the Asia Pacific Region? 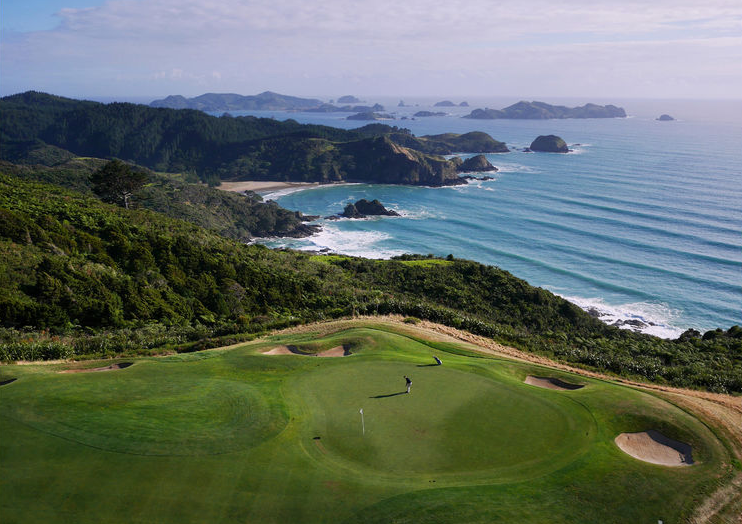 Twice in a row, the International Association of Golf Tour Operators has named New Zealand the golf destination in Asia Pacific with the best experience for golf travelers.Do you think of New Zealand as the golf world's hidden gem? In fact, only Scotland has more golf courses per capita in the world. This island nation has 400 golf courses ranging from ocean-front, subtropical courses in the north, to alpine terrain and vistas in the south. So getting on the tee is never a problem. New Zealand loves its golf. And New Zealanders love to share golf with visitors. Local volunteers run small country courses, and of course the country boasts exceptional world-class championship courses. Thinking of a trip to this golfer's paradise? Here are 5 of New Zealands' most spectacular marquee golf courses for the ultimate golf travel experience. Kauri Cliffs Kauri Cliffs ranks in Golf Digest's list of the world's top 50 golf courses. Perched above the bay in New Zealand's Bay of Islands, this championship course has five sets of tees for all levels of golfers. You'll be challenged by native rough, stands of fern and intimidating forced carries over gorges. Four of the 18 holes run parallel to the Pacific on the top of dramatic cliffs. The Lodge at Kauri is famous in its own right, with top-shelf accommodation and the Pacific Rim cuisine that rivals the views over the ocean. 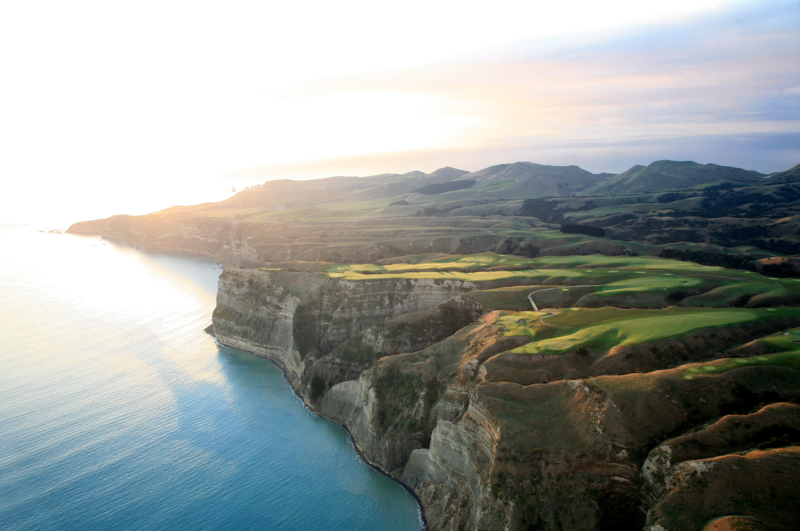 Cape KidnappersThis poetically-named golf course (Photo Credit: The Farm at Cape Kidnappers) in the country's famous Hawke's Bay wine region will steal any golf lovers' heart. The course is dramatically perched on a narrow peninsula that juts into the Pacific and ranks in the top 20 of Golf Digest's list of top 50 courses. The par 71 course is not for the faint-hearted. Here's one description: a “stratospheric Pebble Beach, high atop a windswept plateau some 500 feet above the sea”. Imagine yourself taking challenging tee shots over deep canyons. And its luxury lodge is one of the country's most exclusive and talked-about resort destinations. The Kinloch Club This Jack Nicklaus-designed golf course enhances the Kinloch Club's (Photo by the Kinloch Club) natural environment and is a test of true links golf. 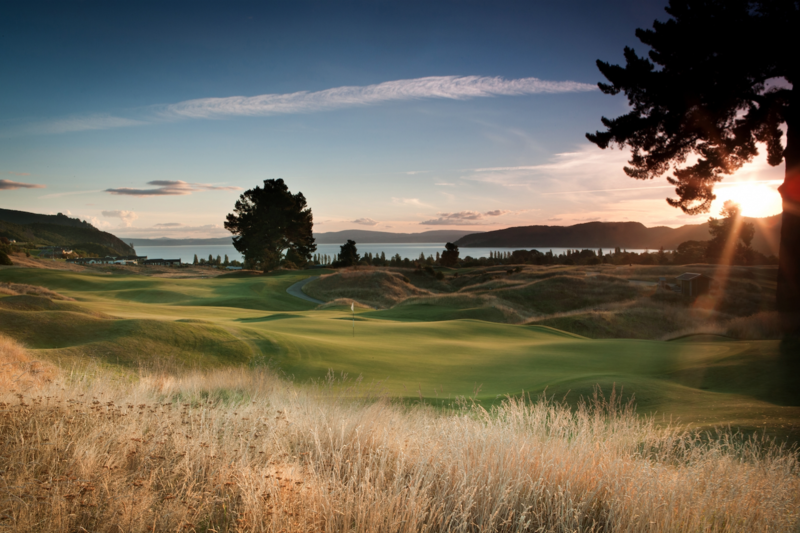 Internationally-renowned, this par 72 course rivals the panoramic views of New Zealand's largest fresh-water lake, Lake Taupo, and the surrounding rugged rural landscape. The Lodge at Kinloch is just as known for golf as well as romantic couples' escapes. 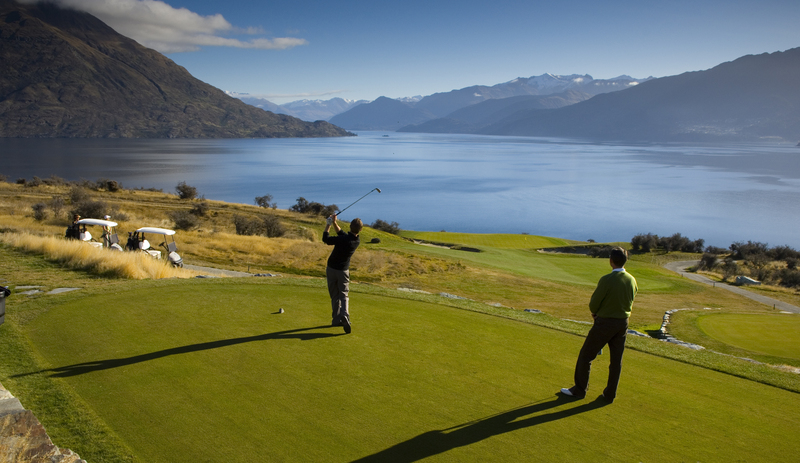 Jacks PointThis 18-hole, par 72 championship course with five tee positions to choose from is an unforgettable golf experience only 20 minutes from downtown Queenstown. But the view is even more spectacular. Lake panoramas and the breathtaking 2300 vertical meters of the aptly-named The Remarkables mountain range are the best possible distraction from your game. The natural landscape remains as part of the course architecture. Native tussock grasslands, dramatic rock outcrops and native bush are 'par for the course' at Jacks Point on the edge of Lake Wakatipu. The HillsThe Hills is a magnificent golf course surrounded by snow-capped mountains near Queenstown providing not only a dramatic landscape but a challenge to all golfers. The Hills occupies a former deer farm near Arrowtown, Queenstown (image credit: Gary Lisbon). Native plants including native brown top grasses and wild mountain tussocks are preserved in the design. But there's an even more unique course design story here: sculptures crafted by New Zealand artists are integrated into the course’s lakes, waterways and wetland areas. With a reputation that includes its position as co-host of the New Zealand Open, The Hills is a course that's a destination for both player and spectator. So on or off the course, this will be a lasting memory of a golf trip to New Zealand.